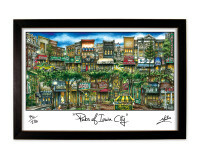 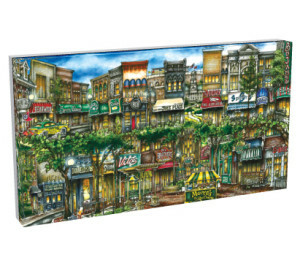 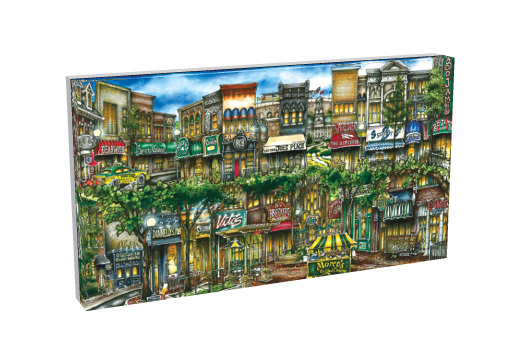 Large 20″ x 40″ or Medium 18″ x 28″ hand pulled giclee canvas version of hand painted image of the iconic “pubs” and landmarks in the town of Iowa City, IA surrounding University of Iowa We use only archival quality Epson canvas and ink. 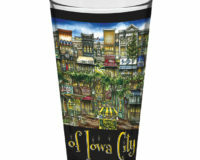 SKU: IOWACANLG. 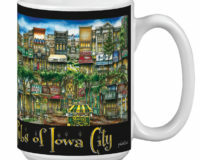 Categories: College, Iowa, Iowa City, Print, Town. 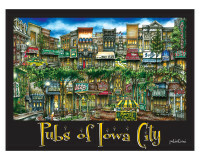 Be the first to review “pubsOf Iowa CIty, IA – (Canvas)” Click here to cancel reply.